“Electric City” is a district in Tokyo where there are hundreds of electronics stores – everything from big department stores selling all the TVs, etc, you could want, to hole-in-the-wall places that stack oscilloscopes and cables and spy cameras and ham radio parts and transistors, etc. At least I was able to get wifi on a couple of street corners – to be expected in Electric/Electronic City, but surprisingly unavailable. I downloaded emails but wasn’t organized enough to send off a blog post from the sidewalk. As a souvenir I bought a new cable for my phone. Got back to the hotel after a million miles on foot. What was on TV? An electronics lesson! 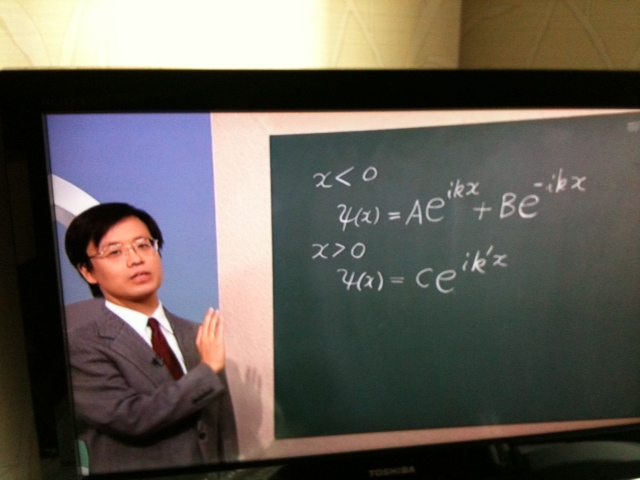 It was quite interesting to watch, seeing the mixture of alphabets – Roman (A, B, C), Greek math symbols, and Japanese characters. Every once in a while we’d catch a word like “potential” or “minus” or “x”. Overall the lesson almost seemed understandable! Husband was very impressed. A while later the educational topic changed. 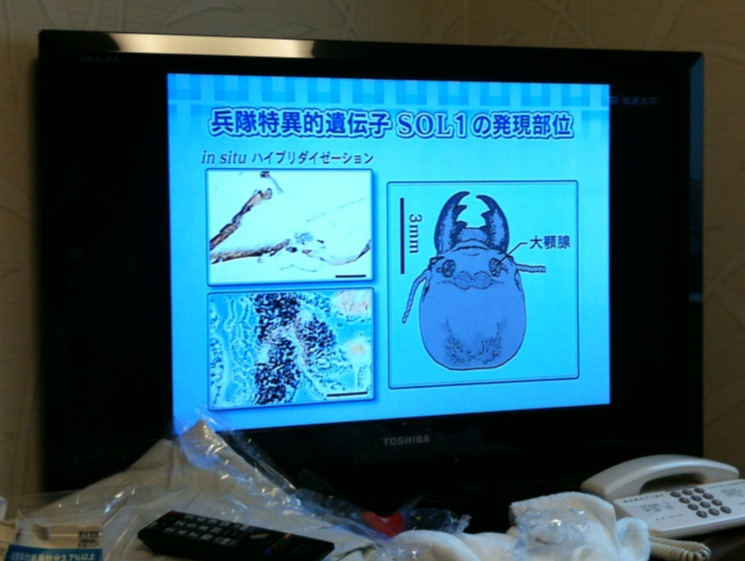 We couldn’t pick up any English words or math clues, but the graphics suggested a biology lesson.